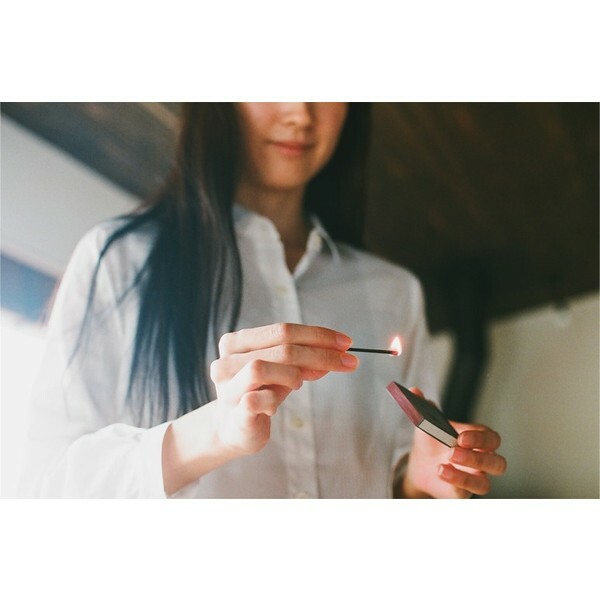 Burn the match and let the scents transport you to Eastern Asia. These fragrant sticks with five special aromas will burn for ten minutes. 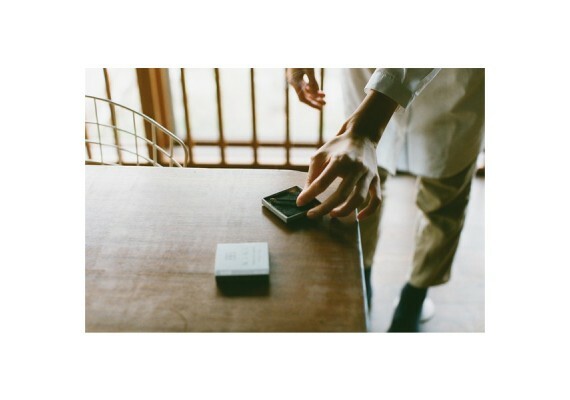 Hibi is a fusion of two centuries-old crafts. 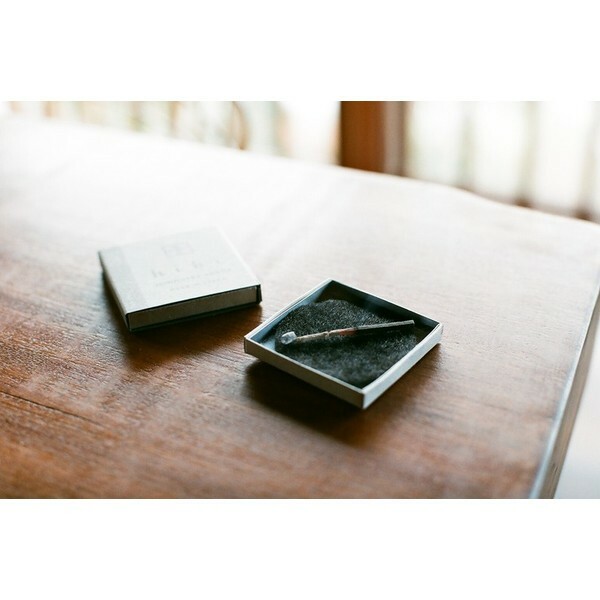 The traditional incense of Awaji and matches from Harima. 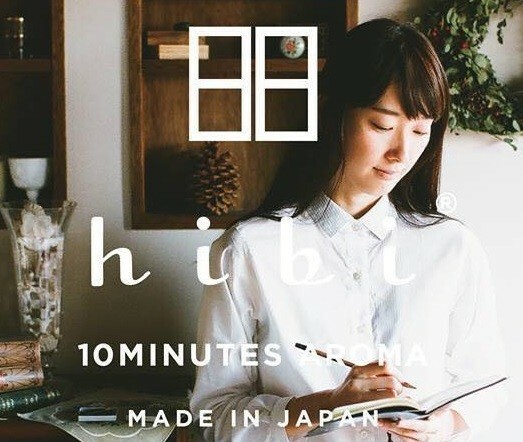 You can also buy HIBI 10 minutes aroma separately here. 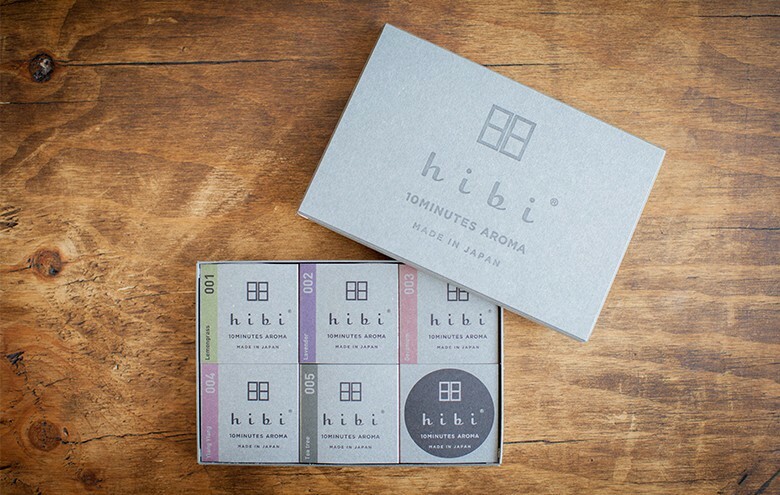 This gift set contains the five Hibi 10 minutes aromas and an exclusive mat to burn the match. Every box contains 8 matches. Take a look at the instruction video to understand how Hibi works. - The sweet, bitter-sweet fragrance of lemon and something that reminds you of a large, green meadow. The epitome of freshness. - For when you need a clean, clear mind. - An elegant floral scent. - For times when you need to soothe your mind or when you are going to bed. - A scent that mixes the sweetness of roses with a hint of greenery. - For when you want to restore the balance of an uncertain, troubled mind. - A slightly exotic scent, which is deliciously sensual. - To relieve tension and for a deep sense of fulfilment. - A spicy scent, that is refreshingly cool. - For when you want to eliminate feelings of frustration or depression and need some reviving.